Modeling Jobs>Other Modeling Jobs>CLOSING SOON GIVEAWAY: Win a Fashion Shoot with Studio Commercial! Indian, Sri Lankan OR Mauritius Girl Model Wanted! CLOSING SOON GIVEAWAY: Win a Fashion Shoot with Studio Commercial! StarNow has created this EPIC prize pack for our Sydney models to win a full day fashion shoot with Studio Commercial! Studio Commercial, based in Sydney, are one of the largest employee-owned collaborative photography studios in Australia. 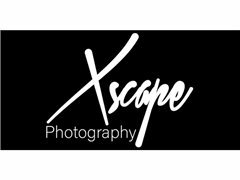 They’re experts in advertising, fashion, editorial, corporate and product photography. Heading up their fashion department is Andrew Ratter. With over 15 years’ experience, Andrew knows the perfect angle for every shot and you know you’re in good hands with him. Hair and make-up will be taken care of by the talented Sofia Leigh. Sofia’s work has featured in various publications including Harper’s Bazaar and Vogue, and in numerous TV, Film and Theatre Productions. * Prize value is a total of $2930! It’s free to apply, all you have to do is hit Apply Now to enter the draw, and you’re one step closer to having a cool new portfolio!